Social Security may be the most important component of American retirement. Why does it have to be so complicated? Just figuring out where to start is an overwhelming task by itself. 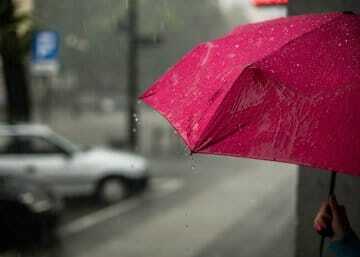 On top of the jargon, there are hundreds of possible ways a married couple can claim benefits. And, as is all too common these days, misinformation is abundant. Which leads to today’s topic – how to weigh all your options when it comes to Social Security. The earliest you can start. However, at 62 you permanently reduce the dollar amount you’ll receive (by as much as 30%). And, at this age, if you decide to keep working the government may withhold some (or all) of your benefits! Only in certain cases does it end up being more advantageous to start Social Security at 62. The latest you can start. Why wait? Your benefit will increase +8% each year you defer past “Full Retirement Age” (see below). The sweet spot, where you’re neither penalized nor rewarded. For most people, it is between 66 and 67. If you’re married you may be eligible to collect part of your spouse’s benefit. First, compare your benefit to your spouse’s; if it’s less, you can receive up to one-half of your spouse’s benefit. If it’s more – unless you were born before 1954 (see below) – you have no choice; you will only receive your own benefit. *If you were born after 1/1/1954: when you apply for benefits, the Social Security Administration automatically assumes you are applying for either your own benefit or one-half of your spouse’s, whichever is greater. *If you were born before 1/1/1954: you can actually pick which benefit you want to receive first (i.e. your own, or one-half of your spouse’s) and then switch to another benefit later (more on this later). John and Jane Smith (both age 66) are ready to retire. Their expenses are $2,500/month, of which most will be covered by Social Security. John knows he will receive $2,860/month from Social Security if he starts this year (his FRA). Jane is also at her FRA and will get $1,800/month. 1. Start today. Conventional wisdom would say they should just start collecting right away, since they are both at FRA. Together they will receive $4,660/month. 2. Both wait until 70. On the other hand, they know they will receive even more if they wait until 70. After four years of 8% bonuses, John and Jane’s respective benefits will grow to $3,775 and $2,376, respectively (not including sporadic cost-of-living adjustments). John and Jane realize both options are less than ideal. 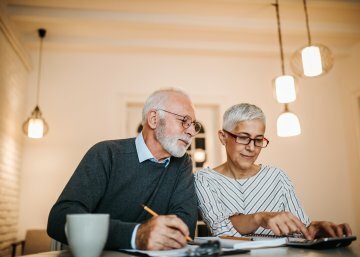 Although their goal is to maximize Social Security benefits (which waiting until 70 would accomplish), they are wary about having to rely on other sources for four years to pay the bills. 3. A Restricted Application*. Recall, John and Jane were born in 1953. Because they meet the age cutoff, they each have the option to pick between their own benefit, or one-half of the other’s. In other words, a married couple is able to simultaneously take advantage the annual 8%-delay bonus (for one spouse), while at the same time receive Social Security checks today – effectively a middle ground between options #1 and #2! This process is known as a “Restricted Application”. * A Restricted Application is not to be confused with the “File & Suspend” method, which, as of 2015, is no longer allowed. Back to our example. Since John has the larger benefit, they will defer his as long as possible. Jane applies first. She files a Social Security application for her retirement benefit only. She receives the full $1,800/month, just like option #1. Here’s where a Restricted Application differs. John applies second. On his application, he indicates he wants a spousal benefit only. In other words, he is only applying for one-half of Jane’s benefit (“restricting the scope” of his application…hence the name). One-half of Jane’s benefit is $900. His $2,860 personal benefit is left untouched. Fast forward to John’s 70th birthday. He can now “activate” his own Social Security benefit, which – given 4 years of 8% bonuses – has grown to $3,775/month (again, not counting cost-of-living adjustments)! All he has to do is re-file an application with Social Security indicating he is ready to switch. 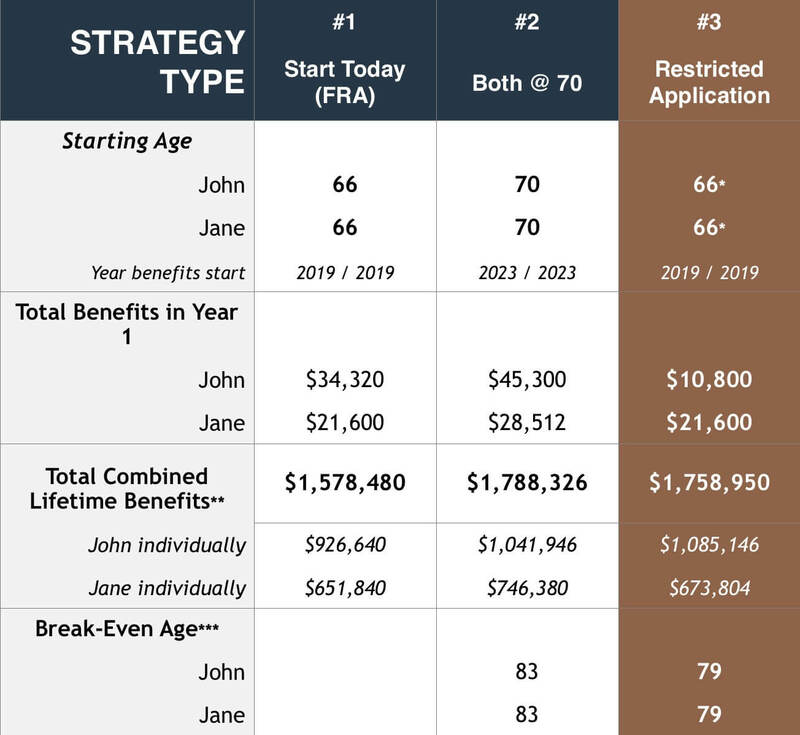 * John starts collecting 1/2 of Jane’s benefit today; then at age 70, he switches over to his own benefit which has grown 8% per year the past four years. **In today’s dollars, assuming an average life expectancy of 92 (John) and 94 (Jane). ***The age at which John and Jane collect more from Social Security over their lifetimes by delaying benefits, versus starting immediately (at FRA). Admittedly, waiting until 70 yields the largest dollar benefit. But look closely: Over a 30-year period they’d only receive $30,000 more than if they filed Restricted. Now look again: under a Restricted Application, they would receive $200,000 more over their lifetimes vs. option #1, even though they’d start receiving benefits at the exact same time! Consider the joint life expectancy for a married couple. The risk with the “Both-Delay-Until-70” strategy is that John and Jane would both have to live to their mid-80s for their patience to pay off (i.e. the “break-even” point). When you opt to delay Social Security, you are essentially taking a gamble against Father Time. A Restricted Application simply gives you a head start (notice how that break-even point is 79…four less years of waiting). It’s up to you to decide if a few extra thousand dollars is worth the risk. 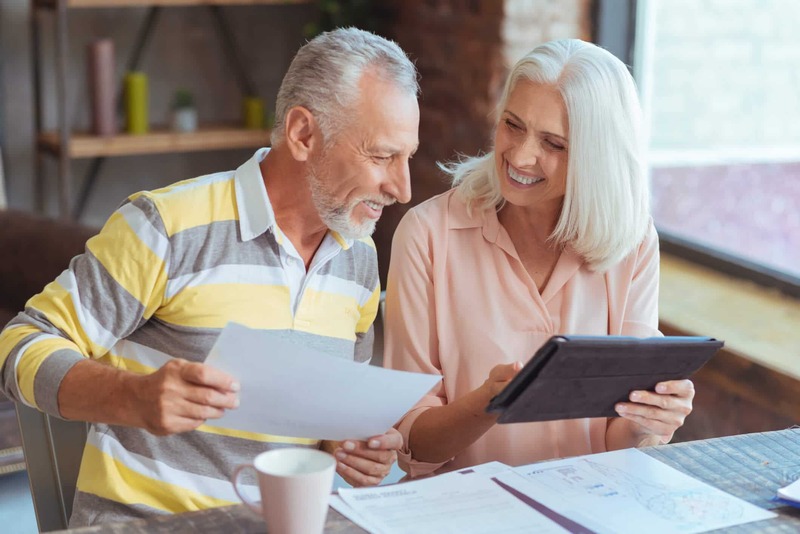 Beyond just trying to rake in the highest dollar amount, there are a few other things to keep in mind when deciding your Social Security strategy. Namely, other reliable income sources at your disposal (pensions, part-time employment, rental properties, etc.) and longevity (i.e. longer life expectancy = more time to enjoy a larger benefit and vice-versa). Social Security is rife with more pitfalls and long-lasting consequences than initially meet the eye. Call us today to talk about your strategy in more detail. Taylor Hoffman is an SEC registered investment adviser with its principal place of business in the State of Virginia. Any references to the terms “registered investment adviser” or “registered,” do not imply that Taylor Hoffman or any person associated with Taylor Hoffman have achieved a certain level of skill or training. Taylor Hoffman may only transact business in those states in which it is registered /notice filed, or qualifies for an exemption or exclusion from registration /notice filing requirements. For information pertaining to the registration status of Taylor Hoffman or for additional information about Taylor Hoffman, including fees and services, please visit www.adviserinfo.sec.gov. The information contained herein is provided for informational purposes, represents only a summary of the topics discussed, and should not be construed as the provision of personalized investment advice or an offer to sell or the solicitation of any offer to buy any securities. The contents should also not be construed as tax or legal advice. Rather, the contents including, without limitation, any forecasts and projections, simply reflect the opinions and views of the author. All expressions of opinion reflect the judgment of the author as of the date of publication and are subject to change without notice. There is no guarantee that the views and opinions expressed herein will come to pass. Certain hypothetical case studies have been presented to highlight how presented strategies may be employed. Nonetheless, these are only hypothetical illustrations and do not represent actual results achieved by Taylor Hoffman. Actual results will vary depending on a variety of circumstances. This document contains information derived from third party sources. Although we believe these third party sources to be reliable, Taylor Hoffman makes no representations as to the accuracy or completeness of any information derived from such third-party sources and takes no responsibility therefore. Taylor Hoffman is not a Public Accounting firm, and the information contained herein should not be construed as tax advice. Rather the contents included are a reflection of the view and opinions of the author. 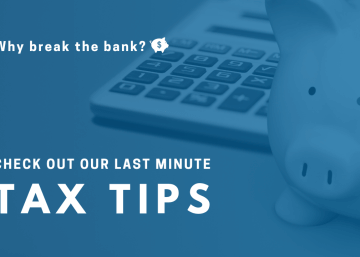 There is no guarantee that the information provided fits every situation, and individuals should consult their tax advisor for more specifics. Taylor Hoffman is a purpose-driven firm that genuinely cares about people. We believe in fostering long-term relationships based on trust and transparency. Reach out to us today to learn more about our fee-based wealth management service. Enter your email to receive Taylor Hoffman’s quarterly newsletter, filled with market updates and other wealth building strategies.